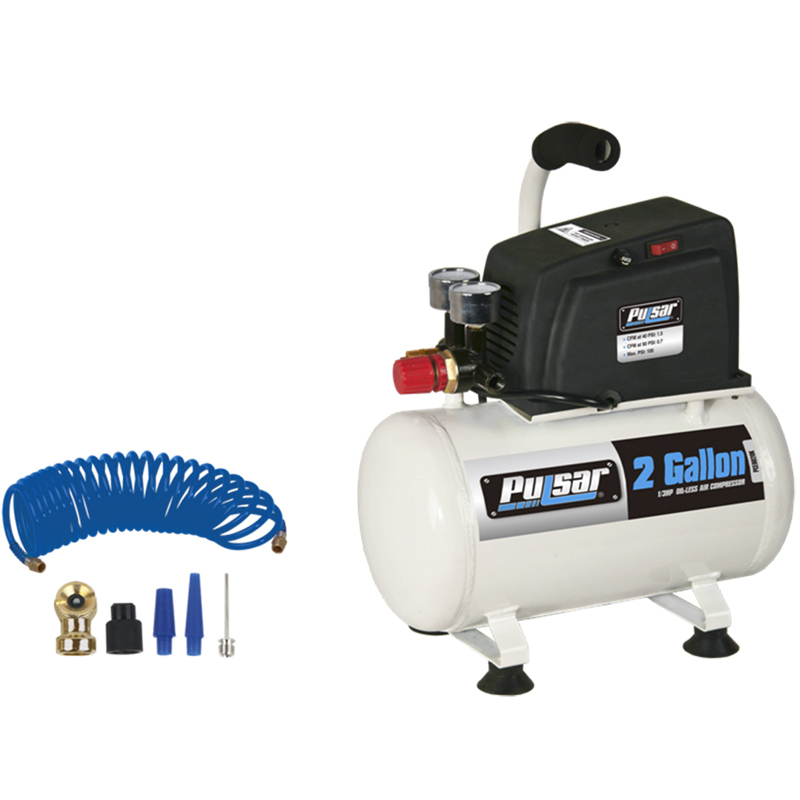 This 1/3 HP, 2 gallon horizontal tank compressor is ideal for jobs around the house. The all steel, electro-statically painted tank is designed for years of use while the sealed lubrication system means you never have to worry about adding oil. Ideal for inflating tires or toys with the included six piece accessory kit and even used with low draw tools like nailer/staplers the PCE6021K has 100 PSI maximum pressure while providing 1.5 [email protected] PSI and .7 [email protected] 90 PSI.